India Gate is situated in the heart of the Delhi and one of the most visited monument of the city. It is popular among tourists and local residents as a picnic destination due to its ambience, security and lush green gardens. It is situated on Rajpath on the opposite of Rashtrapati Bhavan (President House). The India gate complex has lush green lawns, waterways, boating lake, fountains and a canopy. The height of India gate is 42 meters (138 feet). 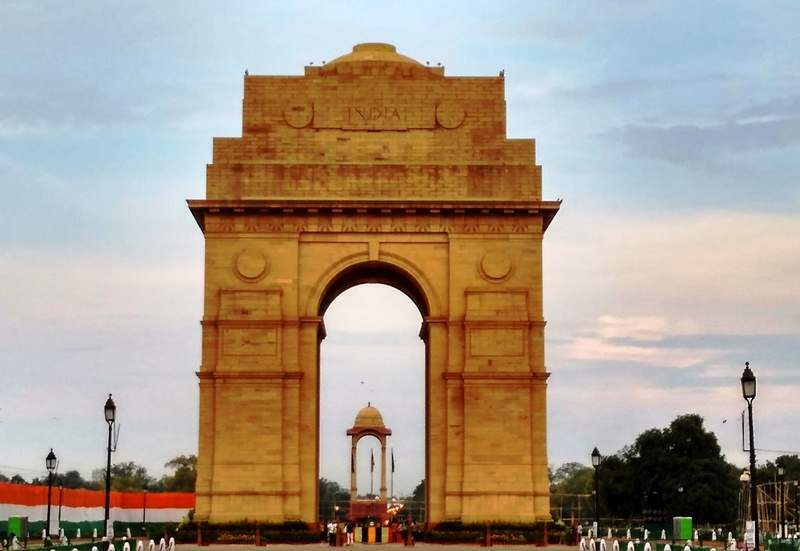 The total area of India gate hexagon is 306,000 square meter and diameter is 625 meters. History of India gate took us in the past; it is a war memorial which was built in the memory of 82,000 soldiers of the undivided Indian army. These soldiers sacrificed their lives in the First World War and the Third Anglo-Afghan War. Names of more than 13500 soldiers who died in the war are inscribed on the India gate. Few of the United Kingdom soldiers are inscribed on the gate along with Indian army soldiers. The foundation stone of India Gate was laid on 10 February 1921 by the Duke of Connaught and it was designed by Edwin Lutyens. It took almost 10 years in the construction of the war memorial and it was inaugurated by Lord Irwin 12 February, 1931. India Gate stands on the base of Red Bharatpur stone and rises in stages to a huge moulding. Amar Jawan Jyoti is located under the India Gate and it was added in 1972. It was added to the memorial of Indian soldiers who lost their lives in 1971 Indo-Pakistan War. It is known as the flame of the immortal soldier. The flame is located on black marble base with war helmets, four urns and reversed L1A1 Self-loading rifle. The flame is lit day and night continuously by CNG. 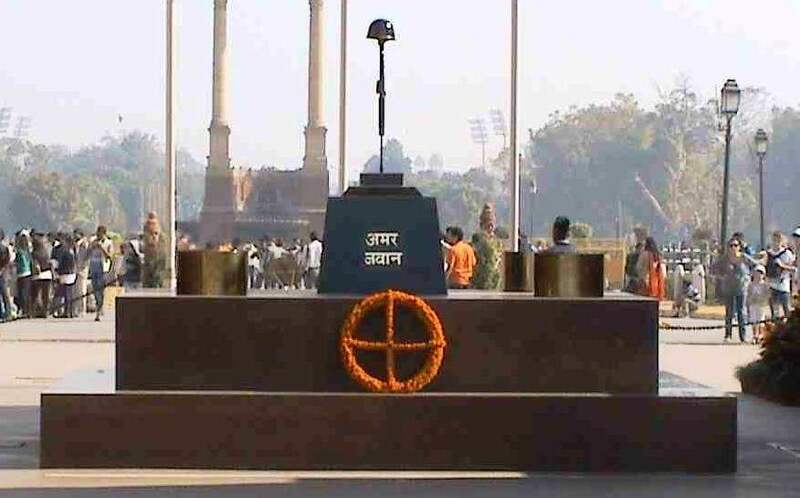 Amar Jawan Jyoti manned round the clock by all three armed forces (Indian Navy, Indian Army and Indian Air Force). Visitors can enjoy boating in India Gate; a boat club is present in the complex. India Gate Boating timings are 2 PM to 9 PM every day and ticket charges are 50 Rs. for 15 minute boat ride and 100 Rs for 30 minute boat ride per person. The water channel is just 2.5 feet deep and completely safe for boating. Currently the Delhi Tourism owned boat club has 19 row boats and 20 paddle boats. India Gate is one of the most visited monuments of India and very popular among national and international tourists. It opens on all days of week and remains open round the clock; however, the local police might not allow visitors after midnight. 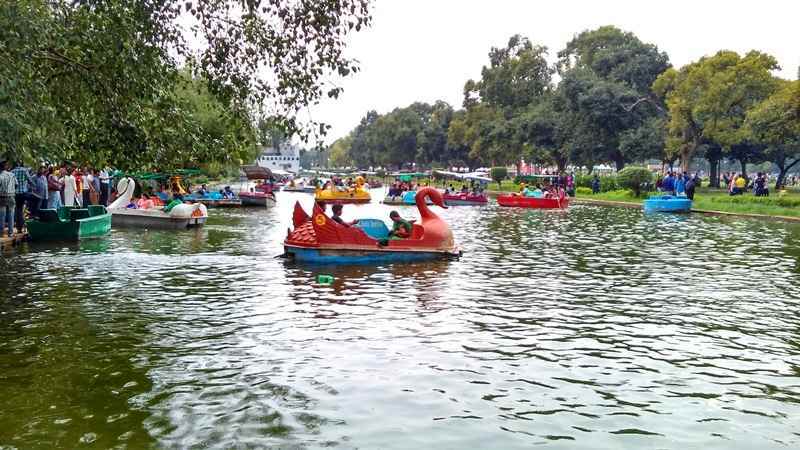 It is one of the best picnic destination for Delhiites. It is popular among all age groups of people. In the morning you can see people are doing a morning walk inside the complex or near around the gate. Children of all age groups can be seen here playing different type of Indoor games. 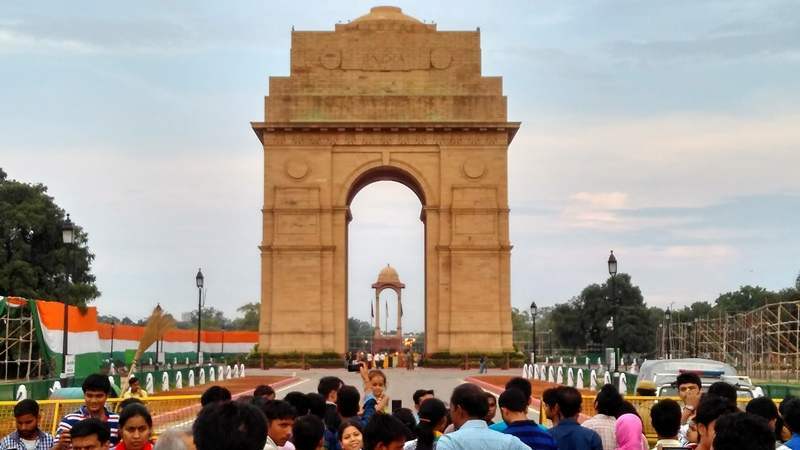 Couples and family prefer India gate for outing and weekend plan. A well maintained Children’s park is also located in the campus. It is a must visit for every family having kids. Here kids can enjoy different types of rides and swings in lush green garden under good security. India gate parking is big enough to hold a large number of vehicles, however, Delhi metro is the best option to reach. On the busy days it is quite tough to find a space for car. Central Secretariat is the nearest station and udhyog Bhavan is also near to India Gate. Entry to the India gate is absolutely free. There is no café or restaurant in the campus. Hawkers and Ice cream vendors fulfil the need of café. Cold drinks, bottled water, ice creams, street food are available here with hawkers. Also, balloons, toys are available for kids playing in the lawns. 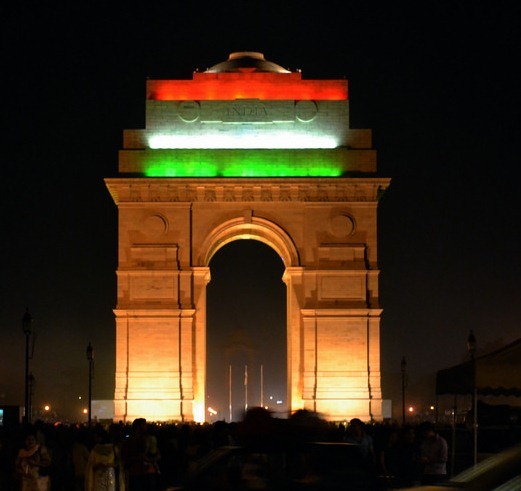 Evening is considered as the best time to visit India gate due to the ambience of the place. In the evening the place is lively and full of visitors. In the night, whole complex and its gardens are lit with various lights and make the place more beautiful. Summers of Delhi can be very hot and humid, so it is advisable to visit the place in cool and cloudy day. Rainy and winter seasons are best time to visit the place even in the afternoon, however, you can visit the gate any time in the evening. India gate is just 5 KM way from the New Delhi Railway Station and located on Rajpath. Gate Hexagon is connected by 11 major roads which connects every part of the city. If you are travelling via Delhi Metro, exit from the gate number 3 of Central Secretariat and walk towards the India gate. Also, you can hire auto rickshaws and cabs to reach the war memorial. Metro station is just 2 KM away from the memorial. Major Dhyan Chand National Stadium, Indira Gandhi National Centre for Arts, National Museum and National Gallery of Modern art are located in close proximity of India gate. Old Fort, Delhi Zoo and National Science center are located nearby. Do you know where would be the best place for a young couple to celebrate NEW YEAR’s eve 2017 in Delhi?